White Widow to be honest has few seeds but still good smock for the donation ! 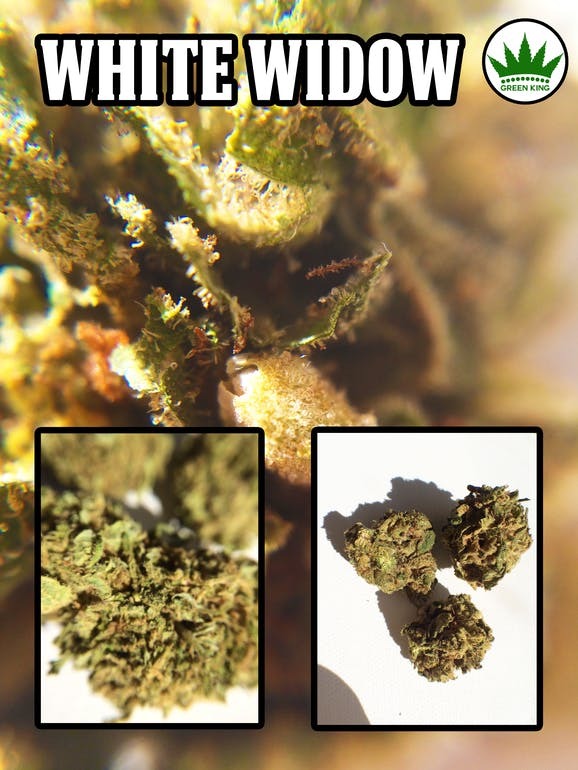 Considered by many to have a 60% Sativa (mind) / 40% Indica (body) ratio, the White Widow strain is full-bodied medicine that can be a bit spacey. This makes it popular among patients suffering from anxiety, PTSD, chronic aches and pains, as well as migraines.